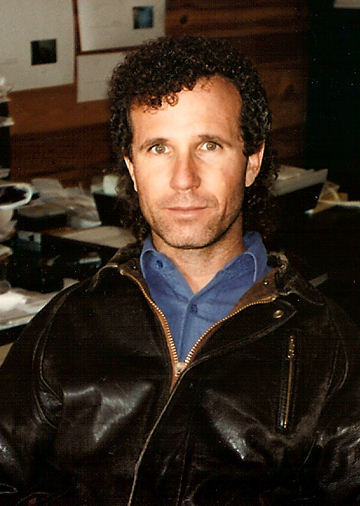 September 1988: Arriving back home in Aspen after nearly two months in Asia, Jeffrey craves nothing more than a real breakfast and good coffee from his favorite restaurant. He’s eaten little more than jasmine rice and vegetables for weeks in Tibet and has lost so much weight he has to tighten his belt two notches. Sitting behind the steering wheel of his white Saab in the crisp autumn morning, he turns the key, only to hear the tired revolt of neglect. Having no desire to jump it, he decides instead to knock on the door of his friends, David Hiser and Barbara Bussell, three condos down. He knows David will let him borrow his van to drive into town for breakfast. Being a photographer himself—often working for National Geographic for months at a time—David knows all too well what it’s like to come home from a long, grueling trip. As Jeffrey knocks on the door, then watches it slowly swing open, his eyebrows fly up. “You’re not David,” he jokes as he stands face to face with a young brunette. “You got that right,” she chirps. “Hmmm…Well, David’s in Mexico right now and Barbara’s in Bhutan, and I can’t loan out his van to somebody I don’t even know,” she says, looking at him like he’s just been let out of an insane asylum. Jeffrey, while slightly annoyed, can’t help but laugh at her feisty attitude. “Who are you, anyway?” she grills him as she eyes his dark leather bomber jacket, noticing how it accentuates his chiseled chin and five o’clock shadow. September 2011: When I look back at my photograph from more than two decades ago, first of all I can’t believe I’m sharing it with all of you. 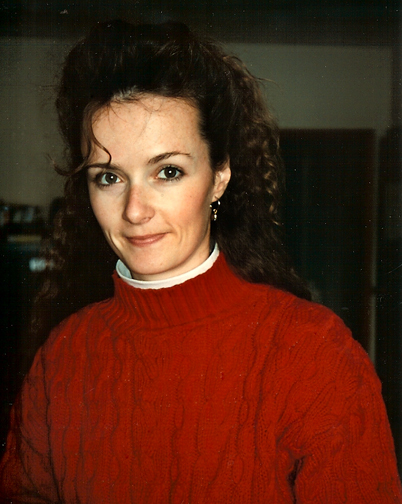 “Big hair” was definitely not a good look, but that was the 80’s, baby! Mostly though, I can’t believe how young and green I was when I took off on my improbable adventure to Aspen. That same thing struck me again this summer when we were in Aspen visiting our friends, the Carpenter Family. Not only were we back in the Rockies again after having moved to Santa Barbara several years ago, but we were in the exact same condo where I first met Jeffrey. You see, our friends Curt and Cindy Carpenter bought David Hiser’s condo in the early 90’s and have lived there ever since. For many years Jeffrey and I lived and worked a few doors down from the Carpenters, and vividly remember when their daughter Cornelia was born twenty-two years ago. This summer as I looked at Cornelia’s shining face during our visit, it struck me that I was exactly her age when I moved to Aspen. On one hand, it seemed impossible, but on the other hand, I could see in her eyes what I felt when I was her age: the enthusiasm of a recent college graduate filled with drive, knowing the whole world was out there waiting for her. 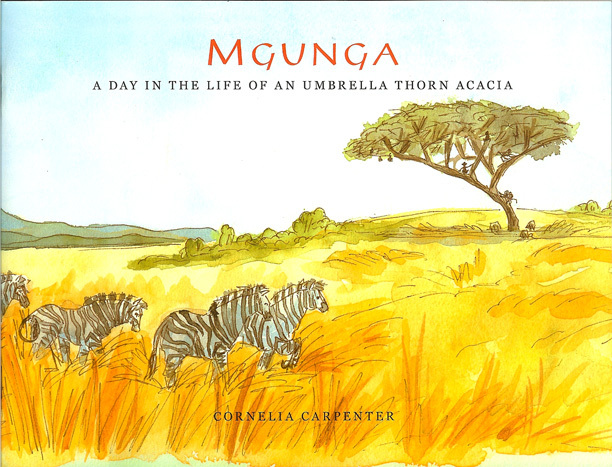 This girl is well on her way, too, having already published her first illustrated book, Mgunga: A Day in the Life of an Umbrella Thorn Acacia. Inspired by her semester abroad in Kenya, she created a book of illustrations well beyond her years. 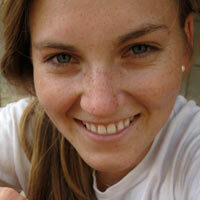 And now she has just returned from a project in Australia. When I watched my daughter, Olivia, gaze at Cornelia with awe when she handed her a signed copy of her book, I witnessed Cornelia unknowingly paying it forward and inspiring a 7-year old—just by being a brainy, adventurous, and creative role model. I feel compelled to share a few images with you from Cornelia’s book because there’s no doubt in my mind this is the beginning of a brilliant career. In fact, if I ever find time to write that children’s book I have bumping around in my head, I know who I’ll be calling for the illustrations. All illustrations ©Cornelia Carpenter 2011. You can click on the images to view them larger. Here’s to Mgunga Magic…and to being twenty-two…and to having the whole world out there waiting for you. And to those of us a wee bit older, here’s to remembering that feeling, and knowing anything is possible….even the improbable. 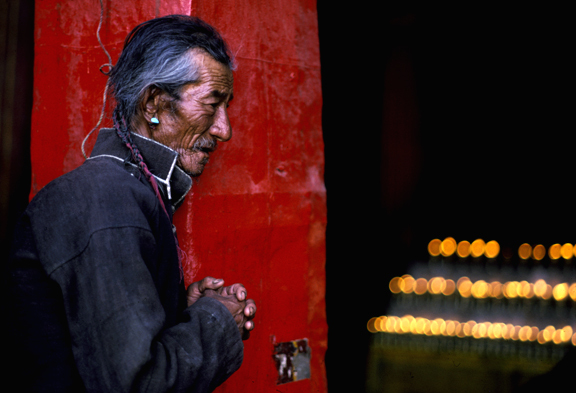 This entry was posted in Art, Photography and tagged art, aspen, Becky Green Aaronson, Cornelia Carpenter, jeffrey aaronson, photography, tibet by Becky Green Aaronson. Bookmark the permalink. I love your story and how you met Jeff (what a cutie). And a closer insight into the real you, instead of just a talented writer with wings on her running shoes. Thrilled you like SheWrites, though it takes discipline to fit “your real work” into each day’s 24 hrs. Can hardly wait to see you in class! Nancy, thanks for swinging by my blog and leaving your kind words once again. I’m hoping to see you on Thursday (if the scheduling stars are aligned(. What a lovely and talented young lady. Your blog posts are always inspiring, humorous and poignant. Thank you. Many thanks for your kind words. I’m glad you are enjoying my blog! I am loving your story! Thank you for te great read and the beautiful images. Thanks, Lisa! I’m so happy you’re coming along on this journey. I appreciate your support and enthusiasm!